CAPSUN and 5Pin Media join forces with the mission to create the biggest and best Trap drum and MIDI pack available to date. Each sound has been uniquely designed, mixed and mastered to be ready to drop straight into your production. With over 200 MIDI drum patterns, over 160 drum and FX one shots, over 200 24bit WAV drum loops and 40 bonus audio loops, ‘MIDI Focus – Trap Beats’ will be your go-to pack for all your drum needs. Brighton based CAPSUN is the creator of Bestselling and Top Rated sample pack ‘CAPSUN Presents Trap’ and knows the genre inside out. He is known as a producer, remixer, DJ and sound designer and has been pushing the exciting sound of Trap music in the UK. Having worked with artists such as Wretch 32, True Tiger, Kissy Sell Out, Slander, Scorcher, DrDr and more and with releases gaining BBC Radio1 airplay and acclaim across leading blogs, he is very much in demand. 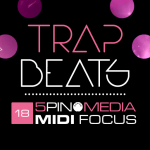 ‘MIDI Focus – Trap Beats’ contains over 200 MIDI drum patterns covering all elements of Trap including Builds, Intros, Huge Beat Patterns, machine-gun Snare Rolls and Hi-Hat grooves, all expertly crafted by CAPSUN to give you the genuine Trap sound. Add to that the fact that it is quick and easy to drop any MIDI pattern into the DAW of your choice with your own sounds and samples, there are endless possibilities. The pack also includes over 160 drum and FX one shots including deep 808 sub bass hits, thumping kicks, neck-snap snares, claps & snaps, tight hi-hats, VOX hits and more. All the sounds are tightly mapped into 12 kits plus a Bonus kit with each one representing a different angle and aspect of Trap but also covering Trapstyle, Southern Hip-Hop, Trill, Cloud Rap & more. Influenced by the monsters of the scene such as Flosstradamus, Luminox, Diplo, RL Grime, Bro Safari, Brillz, Ookay, Heroes x Villains and Huglife – this is not an outsider’s re-construction – This is the Real Trap Sound created by an industry professional and a fan of the genre. Every MIDI pattern is interchangeable and has been painstakingly mapped to the “5Pin Extended GM Drum Map” to work smoothly across every drum kit. The full zip pack also includes over 200 24bit WAV drum loops that can be dropped straight into your tracks and promote your own creativity. They chose to deliberately mix the loops to around -1.7db and do not use effects and mastering so that you can edit and craft them into your own unique production. 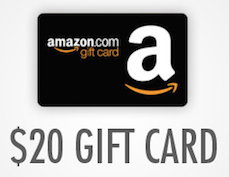 Formats include: Live 8 Drum Racks, NI Maschine, Reason 7 Song, Kontakt 3, Battery 3, NNXT, EXS24, Halion and SFZ. NI MASCHINE and ABLETON LIVE users will find kits and patterns in the form of Projects ready for playing Live or for use in compositions. Some of the musical sounds in the demo are sourced from CAPSUN Presents Trap also available from Loopmasters. By combining expertly crafted sounds with ultra-flexible MIDI grooves, they aim to bring speed, versatility and maximum creativity to your productions. Please Note: Requires NI Maschine 1.8.2+ for Maschine Projects.